States can either have a discretionary or mandatory arrest law for Police when responding to 911 calls for domestic violence. Connecticut has a mandatory arrest law. This means that no matter what the victim of the crime says by the time Police get there if the Police find probable cause that a crime occurred they must make an arrest. In many cases victims who have called Police for help while under attack or in fear of danger will calm down and later not want to press charges by the time Police actually arrive upon the scene. Also, in many situations, it can be your neighbor or other bystander witnessing a domestic dispute who called the Police. In these scenarios often the victim may not want the other party arrested. It makes no difference. If there is a witness of a domestic violence crime the Police are required to make an arrest. We can see that the mandatory arrest law in Connecticut results in a lot of domestic violence arrests, particularly for non violence situations where for example partners or family members may have been engaged in loud yelling and shouting matches which lead to arrests for breach of the peace or disorderly conduct. In ordinary Police work involving non domestic violence cases in many situations Police Officers who respond to 911 calls will often speak with all parties and try and mediate the situation and deescalate tensions. Police Officers in many non violent situations will not make arrests if they can calm down the parties and restore order. The difference with domestic violence cases in Connecticut is that the Police are required to make an arrest if they find evidence that a crime occurred. This has resulted in a lot of arrests for domestic violence or family violence cases which would have never resulted in an arrest if the parties involved did not fit within the criteria for a “family member” or “intimate partner” within the meaning of the statute. Connecticut is one of a handful of states left that have a mandatory arrest law for domestic violence matters which does not have a primary aggressor statue. A primary aggressor statute requires the Police when making a domestic violence arrest to conduct an investigation at the crime scene and try to determine who the primary aggressor was and arrest that party. As a result in Connecticut very often Police wind up making dual arrests. The rate of dual arrests is as high as 35% in Connecticut depending on which town or city in which you are arrested in. The sad result of dual arrests is that often victims who call 911 for help and protection wind up being arrested right along with the primary aggressor and have to go through the Court system. This places a lot of additional stress upon victims of domestic violence. Not only do they have to take off time from work to resolve the resulting domestic violence case in Court but they also have the thought in the back of their mind the next time they are faced with a danger in their home that if they call 911 for help they may wind up being arrested again. Many immigration advocates feel that the policy of making dual arrests will lead to a chilling effect in the immigrant community for victims of domestic violence to call 911 for help. Obviously those who are here without documents face greater dangers and stress about being placed under arrest under the Trump Administration’s enhanced deportation policies. Those who may be victim’s of domestic violence who wind up being arrested in a so called “dual arrest” after calling for Police help may find themselves facing ICE detainers and other immigration enforcement actions as a result of the arrest. 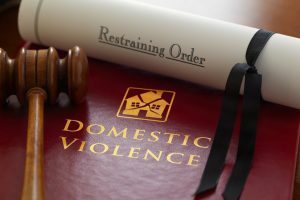 While the Legislature enacted the current domestic violence laws in order to provide additional protection to victims of domestic violence, we can see that the system is in need of some adjustments and reforms in order to cut down on unneeded dual arrests of the victims of crimes who have called Police for help. This is a terrible message that we are sending crime victims, call 911 and you are going to be arrested also. That is only going to result in victim’s being less likely to call for help in the future.